Mychal Reynolds, Dylan Hammond, Jack Colvin, Ollie Grotnes (foreground), Dante Mori (background), Nate Bain (foreground), Isaac Bowers (background), Dominic Delany (foreground), Caleb Warzocha (background), Caleb Moriarty, Ben Newton, Nick Horbert, Hayden Moriarty, Sofia Bass, Trinity Delaney (foreground), Asa Gilman (foreground). Foreground girls left to right: Cilla Abrahamson, Anna Warzocha, Indira McIntyre, Ella Labrie. Photo taken by Coach Reynolds. 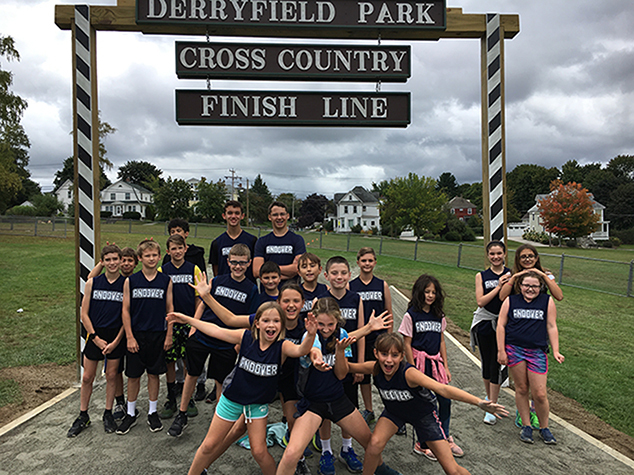 On Thursday, September 20th the Andover Middle School Cross Country team competed in the Manchester Invitational. Affectionately called “Little Manch” since it precedes the High School meet that took place on Saturday, September 22 . Andover ran 8 girls. They were led by Trinity Delaney who finished 240th running through a cold. She was followed 2 minutes later by Hayden Moriarty and a minute later the team pack of Indira McIntyre, Sofia Basso, Ella Labrie, and Anna Warzocha all finishing together in 22:35. Completing the day for Andover were Cilla Abrahamson and Asa Gilman finishing around 27:30. It was a good day for our very young team. They improved the group running time gap between the first and 5th runner to 2:55. On the boys side Andover had their best performance in 3 years attending the meet. The boys were led by Donte Mori who finished in a personal best on the course 15:14 in 88th place followed closely by Mychal Reynolds in 15:43 and then a group of three to close out the Andover scoring: Jack Colvin, Isaac Bowers, and Ollie Grotnes. Next for Andover was Nate Bain, 8th grader Caleb Warzocha, Dylan Hammond, Nick Horbert, Ben Newton, Caleb Moriarty and Dominic Delaney. Andover had 5 athletes who had run the tough Manchester course before and 3 of them ran personal bests on the course. Dante, Mychal, and Caleb Warzocha all improved on the course. 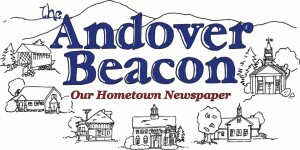 Next up for the Andover Harriers is a meet at Sant Bani School, followed by a meet at Hopkinton and then the season culminates with the Division 3 State Championship at Coe Brown on October 20.